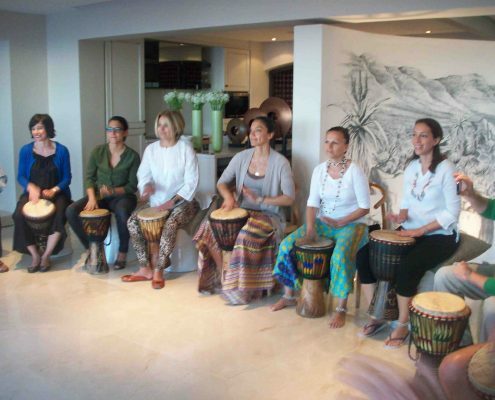 Team building drumming is a great activity for employees and co-workers at a yearly or special function. 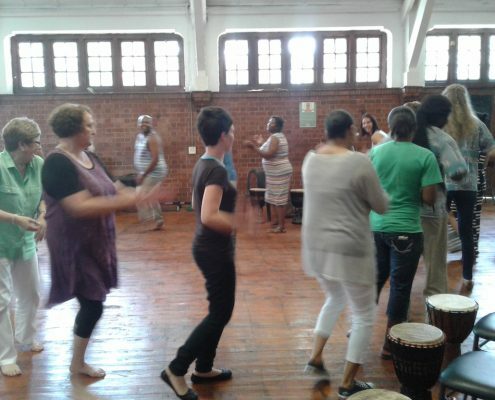 It is suitable for people of all ages and backgrounds. 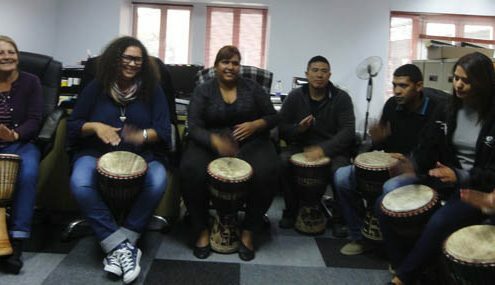 Group drumming provides a unique opportunity to work on group cohesion. 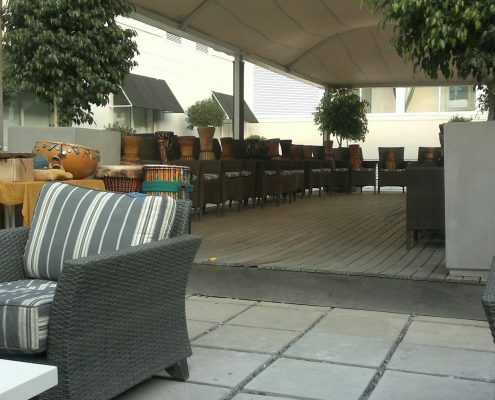 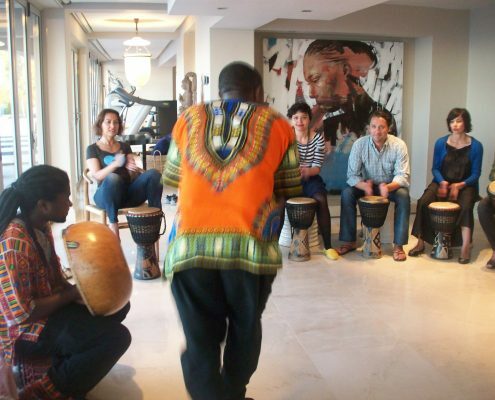 Playing music together combines fun with team effort and communication, essential elements in any workspace. 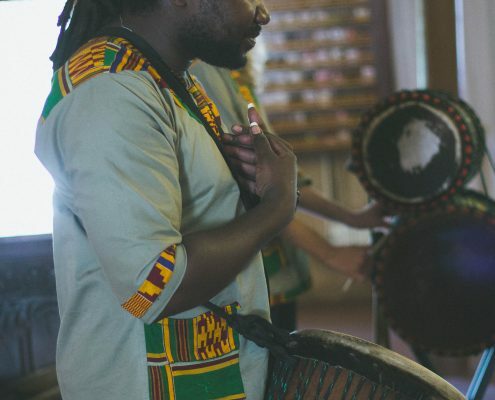 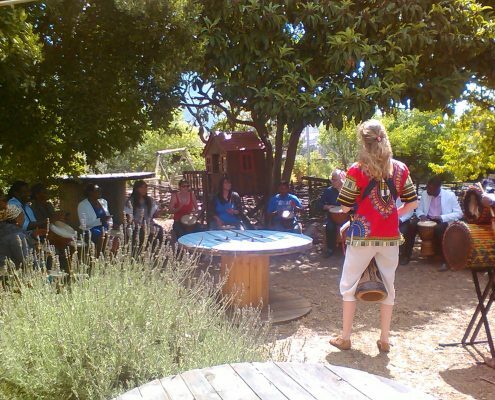 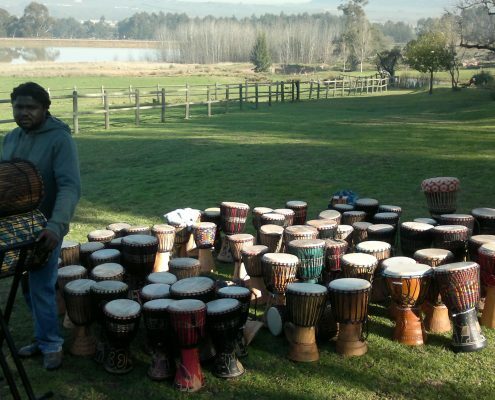 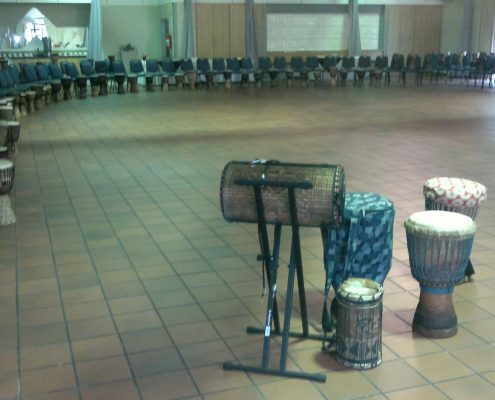 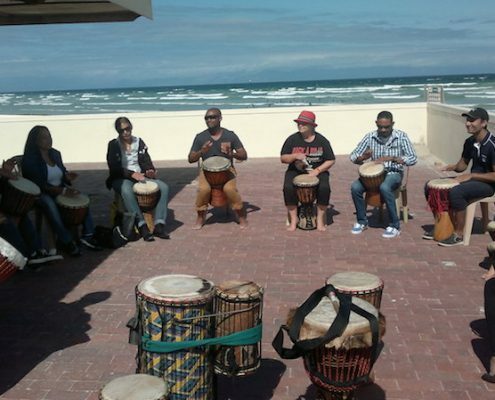 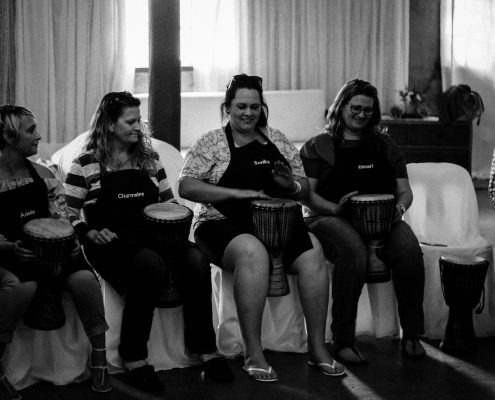 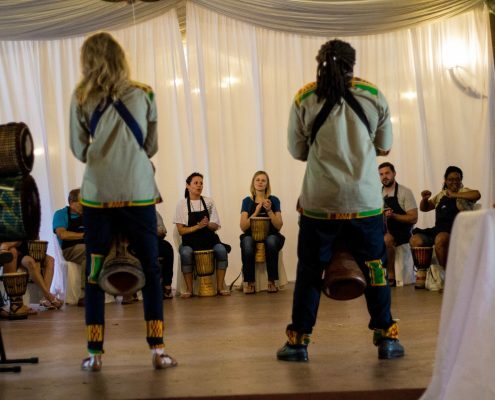 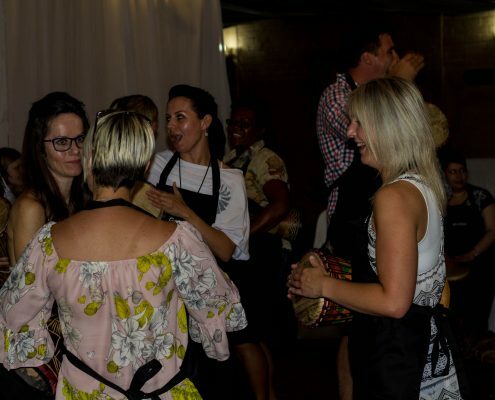 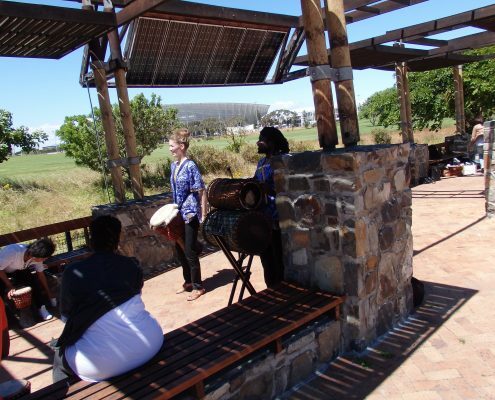 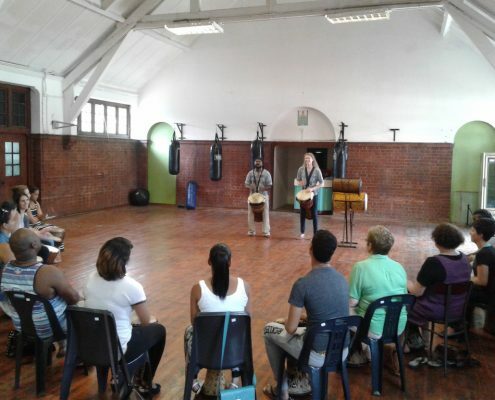 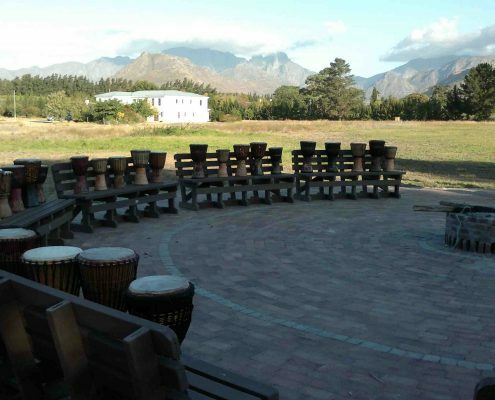 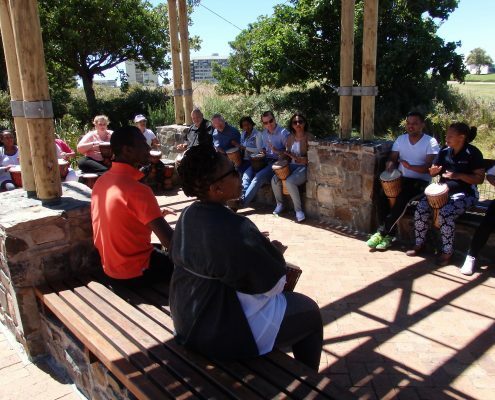 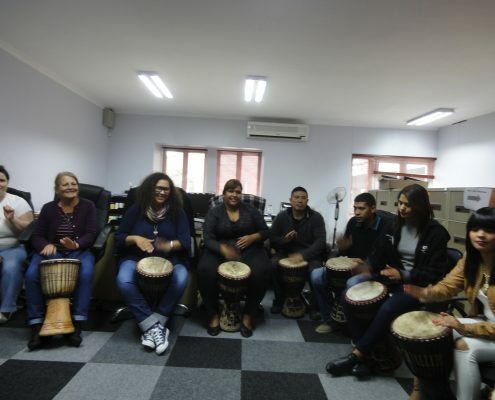 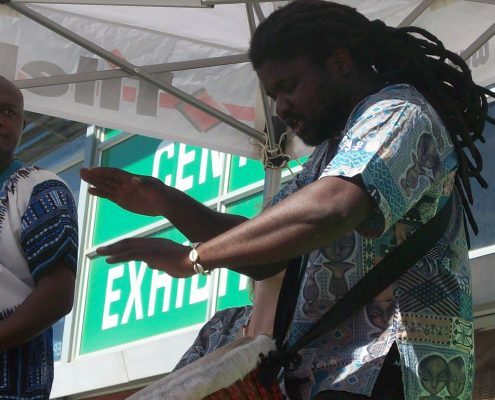 Our team building drumming workshop can be done at your venue of choice, we will travel to you and provide a djembe drum for each participant to play. 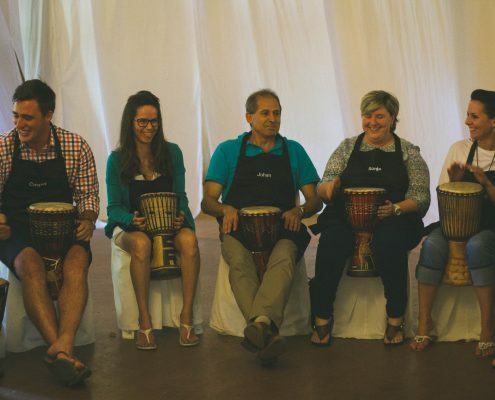 Our team of facilitators will lead the group. 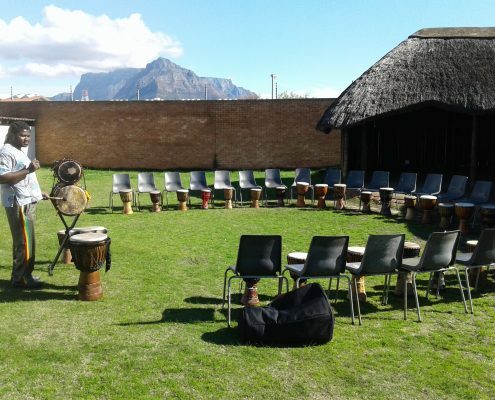 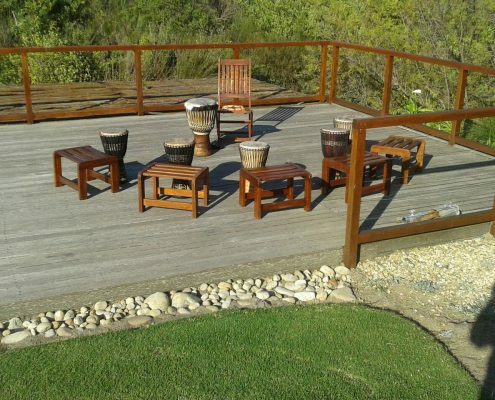 The team building drumming workshop is 1 hour, but can be longer or shorter upon request. 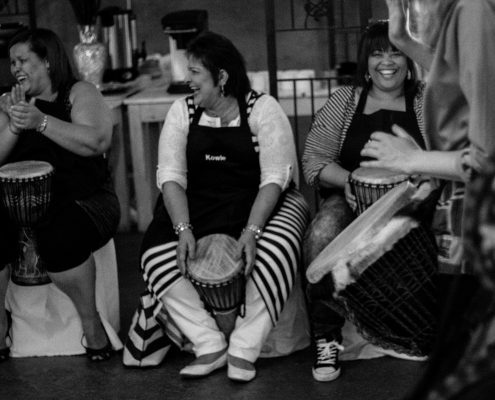 You can also come to our venue for this workshop, enquire for the possibilities.